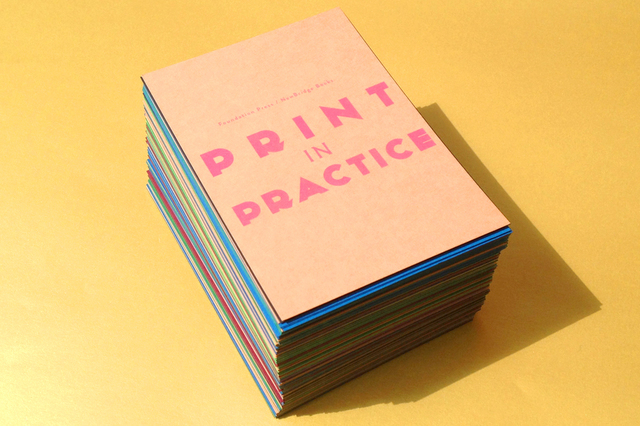 For the 2014 International Print Biennale, as a collaboration between Foundation Press and NewBridge Books, we curated an exhibition and reading room that touched upon the discourse around print and publishing as part of wider artistic practice. The project presented printed artworks made during residencies at Foundation Press by Alexandra Hughes, Kate Liston, Chris Wilson, Adam Phillips, Nikki Brewster and Tom Madge. In addition a new wallpaper was made by Deborah Bower alongside sculptural display units made by Joe Woodhouse and Tony Wiles.